A party and fundraiser reflecting on an incredible year and dancing into the future! Performances/installation with Hatchery and many SCDT artists, photo exhibit by Peter Raper, video by A Good Night’s Sleep, live music from Stephen Katz, ReBelle, Kalliope Jones, and DJ Brian Foote! With food and drink provided by generous local sponsors! 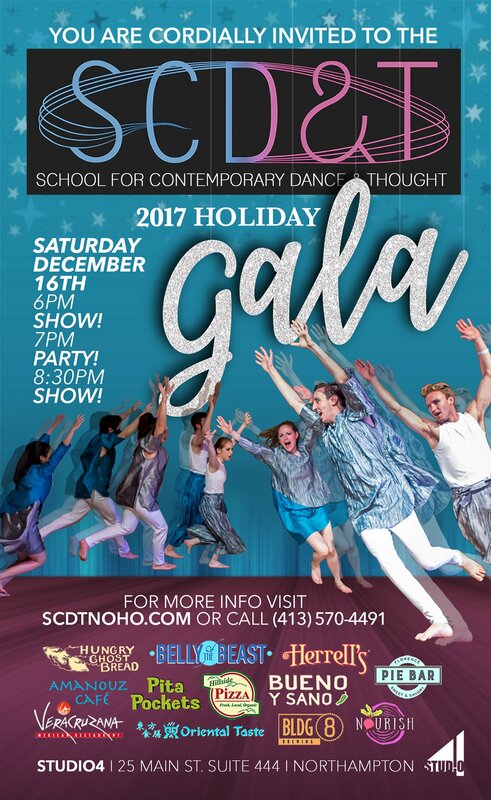 SCDT dance program, & special guests!